You may be hurt or confused when a friend ignores you. 3 What Do You Do When Your Friend Avoids Talking to You? A long-time friend seemed to look right through you at the store last weekend. You would normally brush it off, assuming she just didn't see you -- except that the store incident was the third or fourth time recently that she has ignored you in public settings. She also never returned your call last week and your texts the week before were ignored. Don't jump to conclusions, try to keep your emotions at bay and find a time to talk to her to find out what is going on. Avoid overreacting to what might simply be an oversight or inadvertent slight. Maybe she was preoccupied last weekend and just didn't see you in the crowded supermarket. Or perhaps she's been working long hours on a new project at work and hasn't been able to keep up with all her social text messages or emails. Anyone can have an off day that causes them to lose focus occasionally, so don't automatically assume she deliberately ignored you. Think back over your recent interactions with your friend, if she persists in ignoring you.,try to remember if you might have said or done something that angered or upset her. If you can pinpoint a problem, offer a sincere apology for your part in causing the rift. If your friendship has a strong foundation, the apology should pave the way for you and your friend to mend the relationship. A less well-established friendship may be more difficult to repair, particularly if the other person isn't particularly invested in maintaining the relationship. In this case, you may have to accept that the rift is irreparable or not worth trying to fix and move on. If you believe the friendship is worth saving and you truly don't know why she is ignoring you, approach your friend calmly and ask her if you have said or done something to make her upset with you. 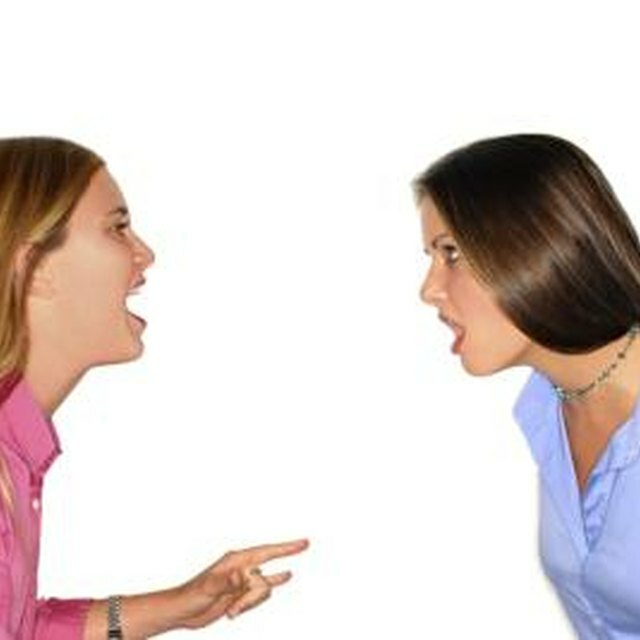 Maintain a non-threatening and non-accusatory tone, but be direct and ask her if she is upset with you for some reason. Explain that you are perplexed by her ignoring you during recent encounters and want to understand why it is happening. Prepare yourself for a range of responses. She may indeed be angry or hurt by something she believes you did that was hurtful. Try to discuss the issue with her calmly, explain your perspective and apologize if it's warranted. Then talk to her to figure out the best way to soothe hurt feelings or misunderstandings and restore the friendship to a firm footing. Or she may simply feel you've grown apart or she may have moved on to other friends or other interests. She may feign surprise, say she wasn't deliberately ignoring you, or make excuses for her behavior. If she continues to ignore you after you've talked to her, you'll likely have to accept that, for whatever reason, she has moved on. Psychology Today: What Do You Do When a Friend Doesn't Respond? New York Times: Friends of a Certain Age -- Why Is It Hard to Make Friends Over 30? What Does It Mean When a Friend Doesn't Accept Your Apology?